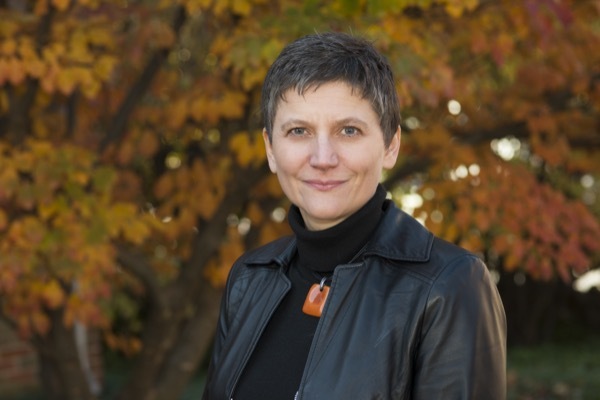 Michela Taufer has been named an ACM Distinguished Scientist. Dec. 2, 2015–The University of Delaware’s Michela Taufer has been named a distinguished scientist by the Association for Computing Machinery (ACM), the world’s leading association of computing professionals. Taufer is one of just 49 computing professionals to be recognized in 2015 with this designation, which highlights how their innovative work is changing the world in the areas of education, engineering and science. “Whenever we use an app on our phone to get driving directions, securely pay bills online, or conduct an internet search, we are benefiting from the research and efforts of computing professionals,” said ACM President Alexander Wolf in announcing the awards. Taufer, the David L. and Beverly J.C. Mills Chair of Computer and Information Sciences at UD, administers several National Science Foundation-funded projects and is an advocate for computing education and interdisciplinary collaboration. Her research focuses on software applications in computing, cloud computing, performance analysis and modeling of multi-scale applications. She recently led a team to a first-place win in the eighth IEEE International Scalable Computing Challenge for developing a way to expedite the search for drugs that can treat a number of diseases including Parkinson’s, HIV and schizophrenia. Taufer joined the UD faculty in 2007 as an assistant professor. She earned her doctorate at the Swiss Federal Institute of Technology in Zurich in 2002. The ACM distinguished members are drawn from leading academic institutions, as well as corporate and national research laboratories around the world. Members of this year’s group represent Argentina, Belgium, Canada, China, Egypt, Finland, Hong Kong, India, Japan, Portugal, Qatar, the United Kingdom and the U.S.
For 2015, ACM named distinguished scientists, educators and engineers. Their areas of specialty include curriculum design, systems design and architecture, critical systems security, Internet structure and security, high- performance computing, human-computer interaction, programming languages, mobile and wireless networks, database management, and software engineering. The criteria for selection to the distinguished member grade include at least 15 years of professional experience, five years of continuous ACM membership, and significant accomplishments or impact within the computing field.